What are ancient Egyptian a-z words? 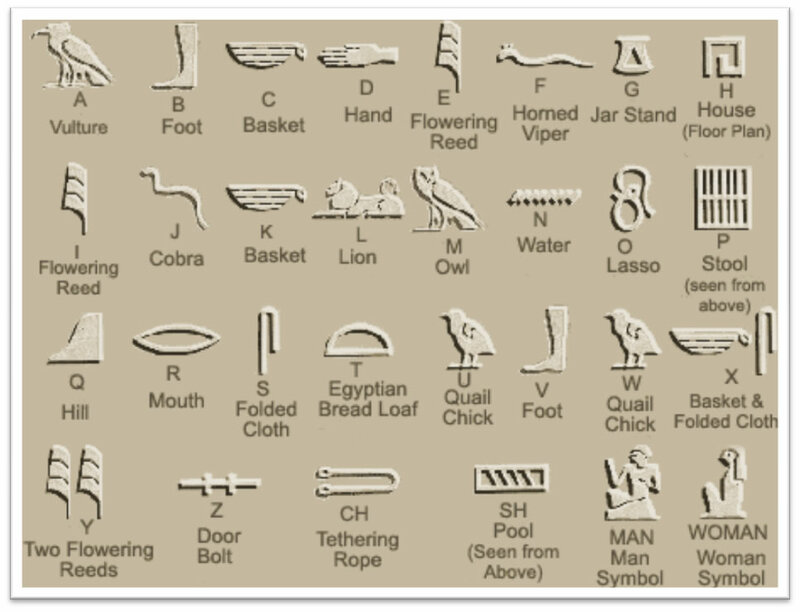 Hieroglyphs the base alphabet of ancient Egypt, based mostly on phonograms (voice sounds). Phonograms formed with one consonant are called mono- or uniliteral signs; with two consonants, biliteral signs; with three, triliteral signs. How do ancient Egyptian A-Z words look? Twenty-four unilateral signs make up the so-called hieroglyphic alphabet. Egyptian hieroglyphic writing does not normally indicate vowels and has been labeled as an abjad alphabet, i.e. an alphabet without vowels. Visually hieroglyphs are all more or less figurative; however, the same sign can, according to context, be interpreted in diverse ways: as a phonogram (phonetic reading), as a logogram, or as an ideogram (semantic reading). Hieroglyphs are written from right to left, from left to right, or from top to bottom, the usual direction being from right to leave (although for convenience modern texts are often normalized into left-to-right order). The reader must consider the direction in which the asymmetrical hieroglyphs are turned in order to determine the proper reading order. For example, when human and animal hieroglyphs face to the left (i.e., they look left), they must be read from left to right, and vice versa, the idea being that the hieroglyphs face the beginning of the line. As in many ancient writing systems, words are not separated by blanks or by punctuation marks. However, certain hieroglyphs appear particularly common only at the end of words making it possible to readily distinguish words.